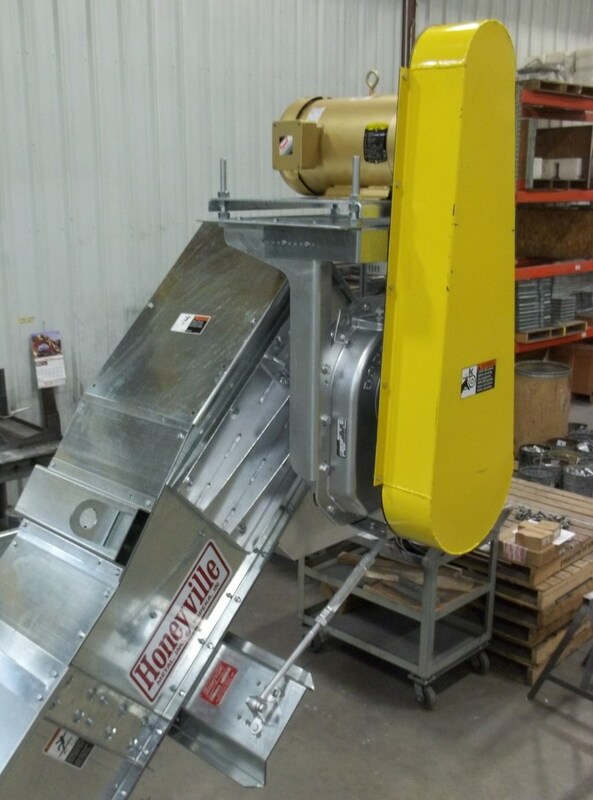 Incline Drag Conveyors | Honeyville Metal, Inc. 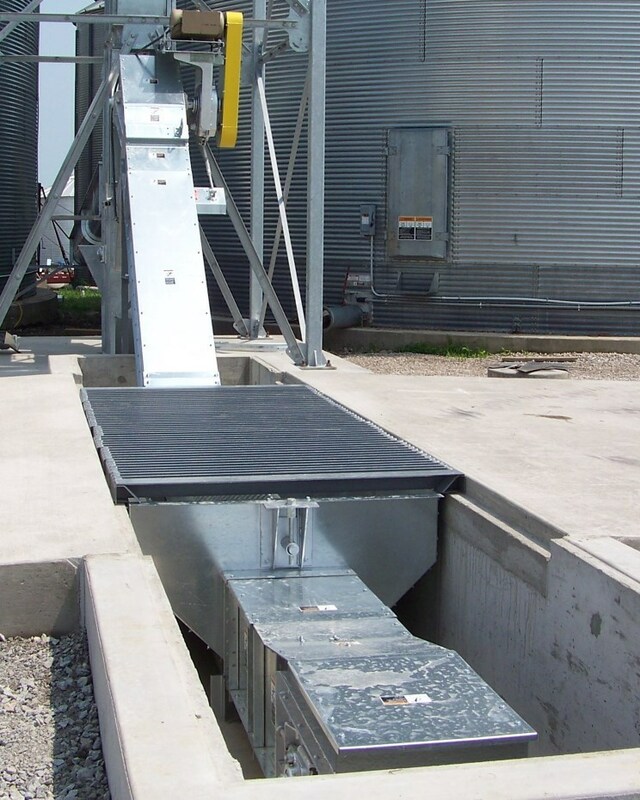 The Honeyville Gentl-Flow Incline Drag Conveyor is manufactured with all Galvanized steel for a long life and minimum maintenance for the end user. 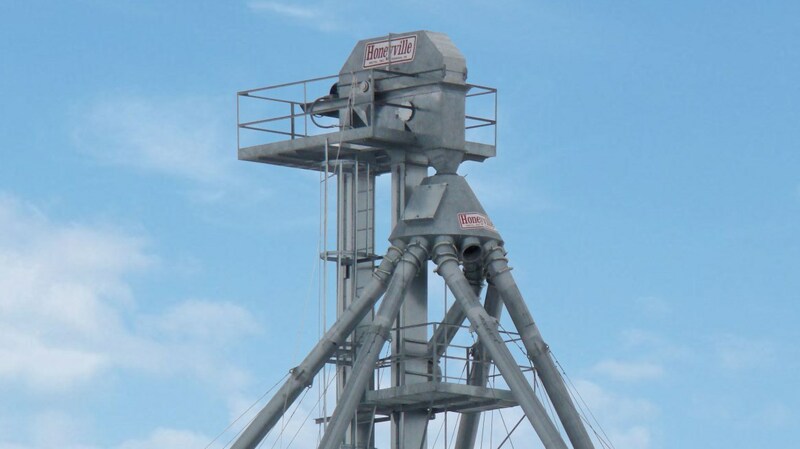 Head and Boot: Sprockets with taper lock bushings. 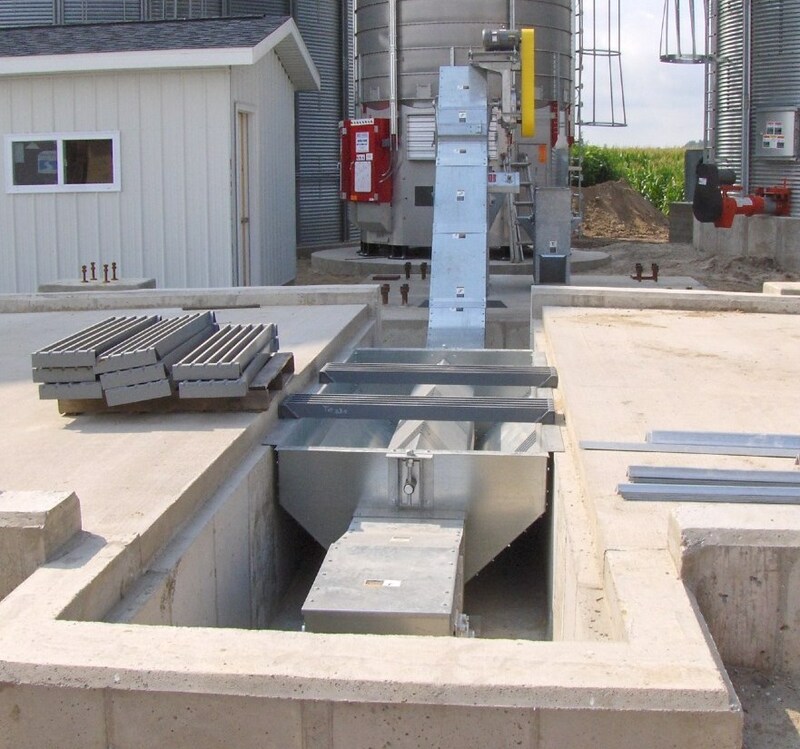 Drive Over Hopper: Requires less than 37" below top of concrete. 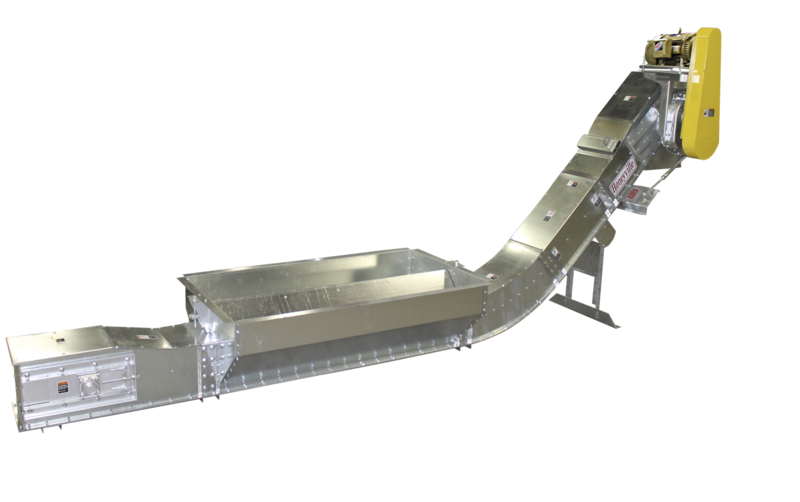 45 Degree* Incline Bend Section: With custom lengths on incline and horizontal sections. 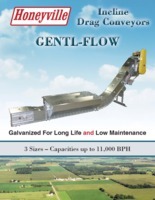 * Other degree bend sections are available. 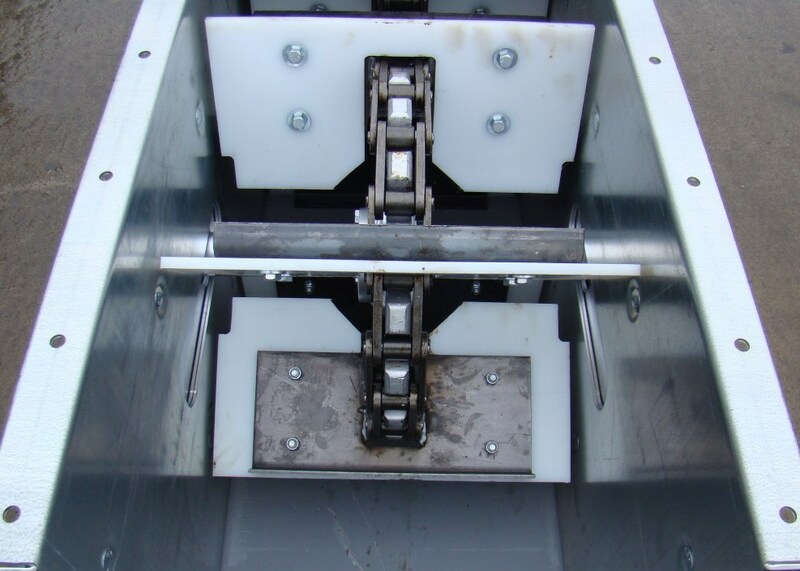 Drive Unit: Gear drive unit with overhead motor mount. Take -Up Assembly: Screw type take-up on intake end, with mounted bearings. 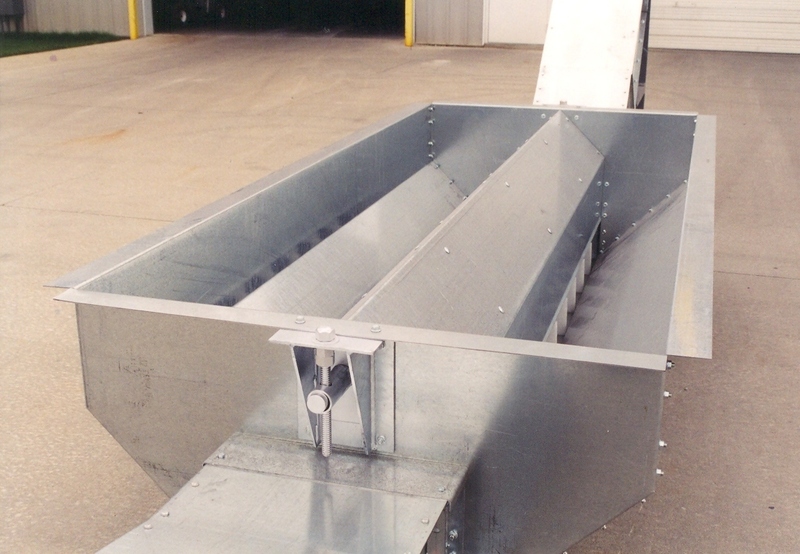 Flighting: UHMW flights mounted on a heavy duty 81XH steel Chain, all manufactured in 10' sections. 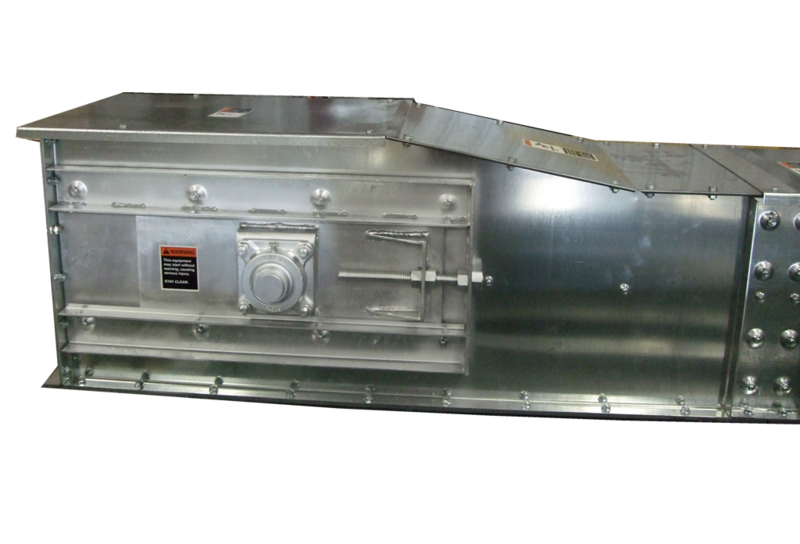 Optional: Bolt-in 3/16" AR Medium Hard steel bottom liner.